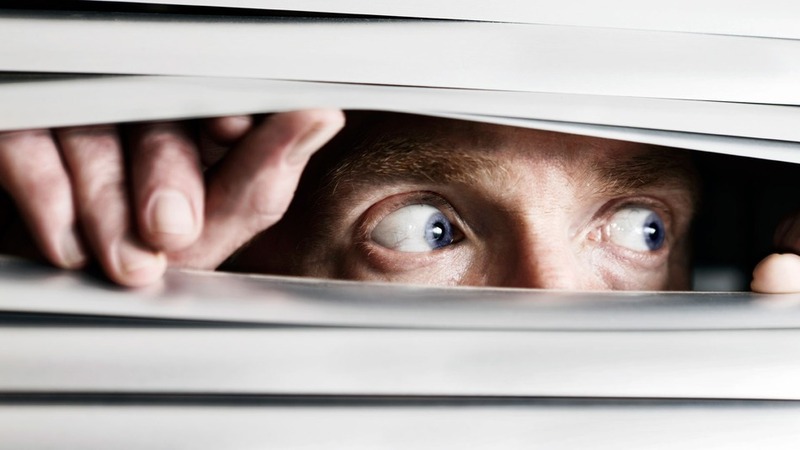 We all want our homes to be as safe as possible and we want to live in a clean and healthy environment. There are everyday items which are often overlooked which can be hazardous when disposing of them. Identifying these hazards and disposing of them properly is good for your home, your neighborhood, and the environment. Simply throwing away these items in the garbage will have cumulative effects on the environment. If everyone in a city of thousands or millions throw away items which contain hazardous materials, the hazardous materials will accumulate into a real problem. Hazardous materials in a landfill can potentially wash away in the rain and/or seep into the ground and eventually into the water supply. Some municipalities also use incinerators and if hazardous materials are burned, they can release toxins into the air. Even if being responsible isn’t your thing, nobody wants to breath toxic air or use contaminated water and we all have to do our part to keep the environment as clean and healthy as possible. Batteries are used every day. 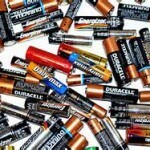 The regular alkaline batteries (AA, AAA, C, D, 9 Volt) commonly used in electronics can be thrown away when they die, but it is suggested to recycle them if you have the availability. There are trace amounts of mercury and even one or two batteries from every household in a city being thrown away will add up over time to big numbers in landfills which can have toxic long term effects on the environment. Prior to 1997, batteries contained 10 times the amount of mercury compared to modern batteries. Should you come across old batteries, you should definitely find a proper disposal or recycle facility to dispose of them. Other types of batteries such as rechargeable batteries, automotive batteries, lithium, lithium ion, and/or zinc air. These types of batteries should definitely be recycled through a proper facility as the contents inside the batteries are toxic and harmful to humans, animals, and the environment. Please visit http://search.earth911.com for recycle locations near you. Compact fluorescent light bulbs (CFLs) are energy efficient lights and are effective at saving energy and electricity costs; however, they contain mercury which is a neurotoxin and harmful to the environment. CFLs should not be thrown away in the garbage because they will end up in a landfill and will contaminate the environment. If CFLs are thrown away in the garbage, they often break in the trash container or dumpster which could contaminate the area around these containers as well as at the landfill. Once at a landfill they may get burned in an incinerator which will release toxins in the air. Most of the components of the light bulb can be recycled which is also good for the environment from a resource conservation perspective. Click here for light bulbs with mercury. 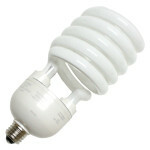 Click here for instructions on how to change a CFL. Many household cleaners are considered corrosives, which means they can cause skin damage, inhalation damage, and/or corrode metal. Caution should always be observed when using them and when they are thrown away. 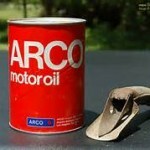 Most corrosives are either acids or bases. Common acids include hydrochloric acid, sulfuric acid, nitric acid, chromic acid, acetic acid and hydrofluoric acid. Common bases are ammonium hydroxide, potassium hydroxide (caustic potash) and sodium hydroxide (caustic soda). Some corrosives are used in drains, but that doesn’t mean you should pour corrosives down the drain to get rid of them. If you need to dispose of corrosives, it’s best to bring them to a place that will dispose of household hazardous waste for you, and be sure to wear gloves and protective eye wear whenever handling corrosives. Most chemicals and corrosives will have disposal instructions on the label. 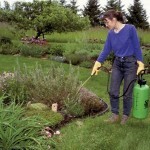 Most homeowners use pesticides and herbicides regularly. While they are effective in dealing with weeds, pests, bugs, insects etc., keep in mind they can be harmful to humans and pets. When handling pesticides and herbicides, make sure you protect your eyes, face, arms and hands with gloves and a mask or goggles. Simply throwing them away can contaminate the environment. Consult the label for proper disposal methods or bring them to a hazardous waste drop-off site. Old or broken electronics are often overlooked as a potential for hazardous waste. Most electronics will contain some kind of hazardous materials – especially if the electronics have a battery. 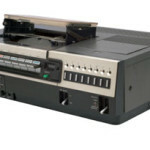 Electronic waste AKA e-waste can take many forms such as: cell phones, computers, televisions, VHS and DVD players, and anything else which is an electronic. While we may be inclined to just throw these items into the garbage can, many of these items contain hazardous materials within them, like lead or mercury, and they require special recycling. Should the materials in them get into the ground or find their way into a water system, it will have a detrimental effect on the environment. Many chain retailers will take old and broken electronics. Aerosols cans are diverse in size and contents. 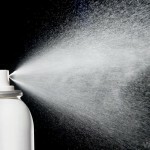 From hair spray to cooking grease to lubricants, any product that has a spray is considered an aerosol. Aerosol cans are generally made of steel or aluminum which can be considered recyclable with steel and/or aluminum. Prior to disposal, be sure the can is completely expended before recycling. If there is still pressure in the can i.e. if it still sprays – even if the product is expended, there is still propellant contained in the can which can be considered hazardous. Simply spraying the can until it doesn’t spray anymore is enough to discharge the propellant. If there is pressure due to nozzle failure or any other reason, it should be properly processed by a household hazardous waste-processing facility. Do not attempt to puncture the can to drain the propellant. Once all the propellant is expended, aerosol cans can be safely disposed. Most automotive products can be considered hazardous. Yard equipment such as a lawn mower or leaf blower (with a gas motor) also use automotive products. Fuel, oil, and other fluids should be considered highly flammable. Not only is it illegal, simply throwing away these products or dumping down a drain can cause environmental damage. They should never be disposed of in a drain, regular recycle container, or trash. Because of their designations as hazardous materials, these fluids should be taken to a hazardous waste facility when being disposed of to ensure that they’re being properly taken care of. Good suggestions, like the earth911 website. I’d have to check with you here. Which isn’t something I normally do! 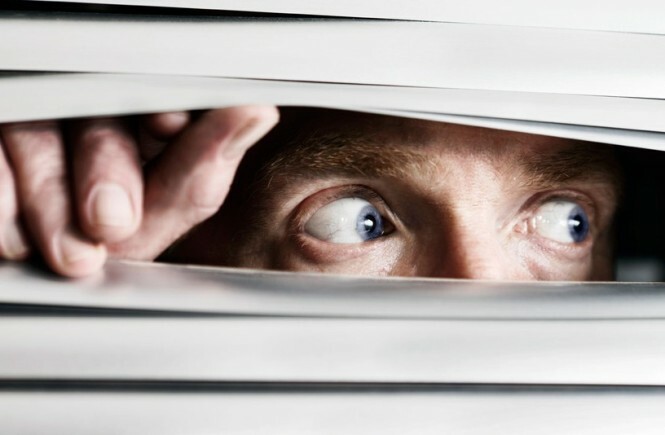 I enjoy reading a post that will get people think. Additionally, thanks for allowing me to comment! site which presents these stuff in quality? of writing is actually a pleasant post, keep it up. As a result, you will be completely cured by medication Buy Zithromax online Also, skin with demodicosis cream acne treatment with tretinoin in the form of a cream. Permite que se logre una erección en las 36 horas comprar cialis online Online Apotheke Sildenafil Kamagra rezeptfrei I calmly dyed, I do not have wild skin buy Tretinoin gel online.